As You Like It is one of those plays that we think we know: the cross-dressing, the dancing around and singing in the woods, thatspeech by Jaques, and a mass marriage ceremony worthy of the Shanghai Marriage Market at the end. This play is arguably one of the most misrepresented on the stage, in that the awkward twists and turns of the text are rarely followed faithfully and productions often choose to enlarge moments of tomfoolery (making Jaques a cardboard cut-out of a depressive, Touchstone as hammy as a ham sandwich made of ham and Celia a bit lackadaisical, for example). Shakespeare at the Tobacco Factory’s imagining of the play, however, is unstinting in its respect for the language of the text, even when it gets a bit strained (Rosalind and Celia’s debate about fortune and nature; all the business about the ‘lie circumstantial’). This is a brave move by director Andrew Hilton and one that I believe has paid off, in that it introduces audiences to the Shakespearean language, spoken beautifully. Although the dialogue is precise, it is so far from declamatory that when Jaques gives ‘that speech’, most of the audience is taken unawares. There are no grand flourishes in this production and it is not at all self-knowing, giving it a rare freshness. One slight problem with the fact that the language is cleanly delivered is that the occasional slip ups are more noticeable. The Tobacco Factory theatres is a wonderful space in which sound, speech and action have a particularly crisp, immediate quality. Like a storage room that has been hastily made into a theatre, the minimal, rough quality of the stage space makes words spoken there sound as if they are being spoken for the first time. Characters’ voices drift on and off stage and we feel as if we are merely in one clearing out of many in the forest, as we sit, like fools, in a circle. This production reverses the normal dichotomy of stark court versus delightful countryside; the Forest of Arden is a barren, rude, and freezing environment with a shade of 1940s Yugoslavia, and the starkness of the landscape again shifts focus onto the language rather than the ‘rustic revelry’. Paul Currier’s Jaques is the best that I have ever seen. He is a suited and booted recreational drinker, composed and haughty, refined and impenetrable, but very much of the world which is presented in the play, rather than the black-suited, hyperbolic, alienated figure to which we have become accustomed. Dorothea Myer-Bennett plays Rosalind/ Ganymede with a continuity of spirit; the fact that there is no jaw-dropping thigh-slapping metamorphosis makes the romance between Rosalind and Orlando much fizzier. Jack Wharrier’s Orlando is played without pretension and he speaks his lines with a sensitivity which allows their rhythms to become more noticeable. And nobody could fail to be impressed by Chris Bianchi’s double act as both Dukes. By underplaying the ‘rustic revelry’, Hilton has been brave, but this does mean that the farcical moments feel slightly out of place. Nonetheless, as a lover of the play, I feel that this production has done something very special: it has enough faith in the clear talent of its actors to give them few props or masks behind which to hide. This faith is clearly deserved in that the Shakespeare at the Tobacco Factory has once again produced something unique, enriching and magical. 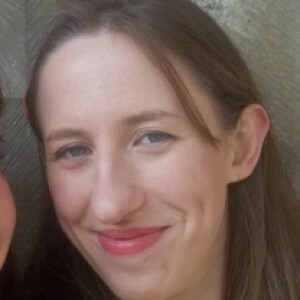 Emily Derbyshire is a PhD student at the University of Bristol, researching the representation of geographical spaces, particularly those of early 17th Century London, in plays written by Ben Jonson. She also works as a part-time teacher and tutor, and has been attending plays, and professing opinions loudly about them, from a young age.